Nicolaas “Brickthing” Vás from Auckland, New Zealand, is a master of LEGO building. He’s been building with the classic bricks for his entire life. In the last for years, he has won several awards at both local and international exhibitions. He is currently studying for a Bachelor in Engineering & Science at the University of Auckland and applies this knowledge to each LEGO model he designs. 1AM Gallery is proud to present one of his creations: Melania. 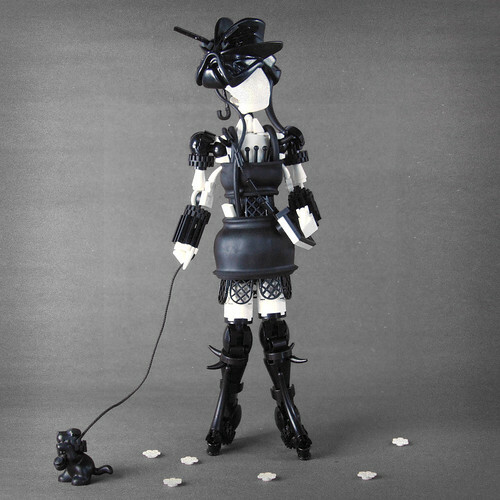 She is an imaginatively constructed figure sporting a black and white ensemble entirely made out of LEGO bricks, complete with a chic hat and matching black dog. She is currently on display in our show, Designing Outside the Lines. Come check it out!